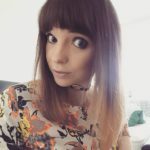 If you have natural (or dyed) black or very dark brown hair, you may think that it will be too difficult to get some bright highlights, or even some subtle slices of colour. 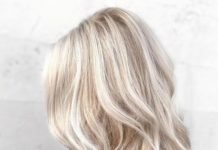 Whilst it is true that you will probably need to bleach the hair (or strip the hair of existing dye) before highlighting, it will be worth the effort. 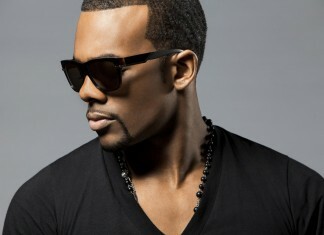 Black is great as a base colour for highlights as it provides a great contrast to make any other colour really pop. 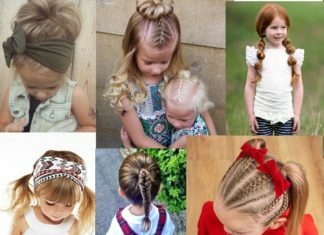 Furthermore, it complements all colours – from natural blondes and brunettes, to all other colours of the rainbow. 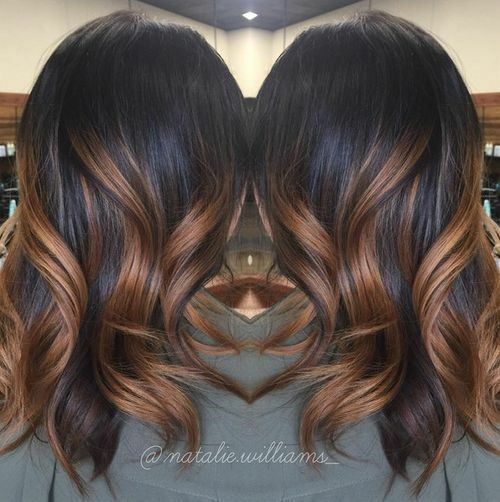 For best results, it is always worth going to a salon to achieve your new highlighted look. 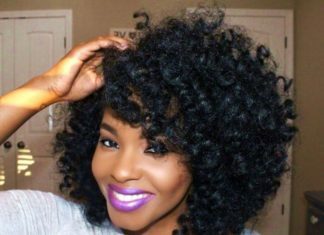 However, if you need some inspiration here are some of our favourite black hair with highlights styles. 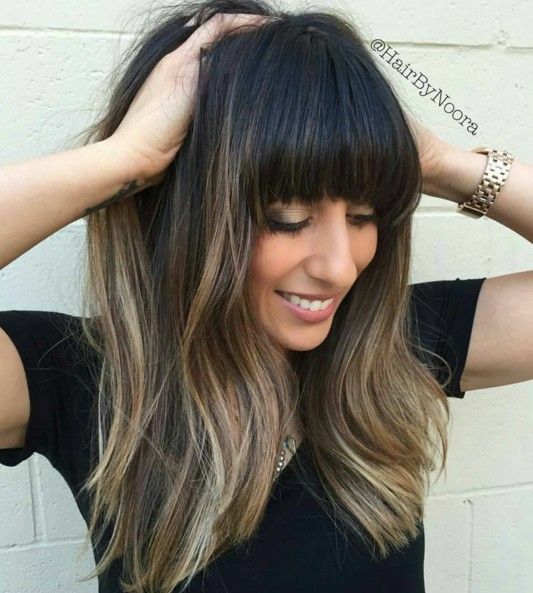 Some subtle highlights in black hair can be just as effective as something bright and bold. 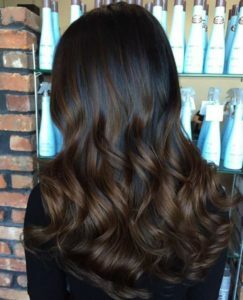 These long ebony locks have been lifted with a chocolate brown balayage that gives some depth to beautiful, glossy waves. Lovely! Maroon is a stunning colour to use to highlight darker hair colours, and it is fantastic in this balayage in black hair. The rich jewel shade blends beautifully into the natural ebony shade and will look lovely against all skin tones. 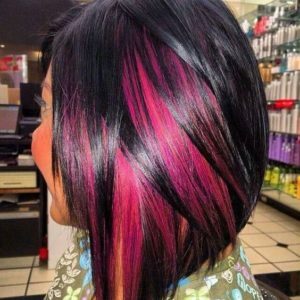 Pink tones work wonderfully with black hair from the bold and vibrant to the more subtle rose gold. 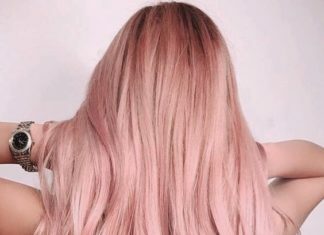 The chunky slices of the soft toned pink starting two-thirds down the hair give a high-impact two-tone effect, thanks to such a great contrast in tones. 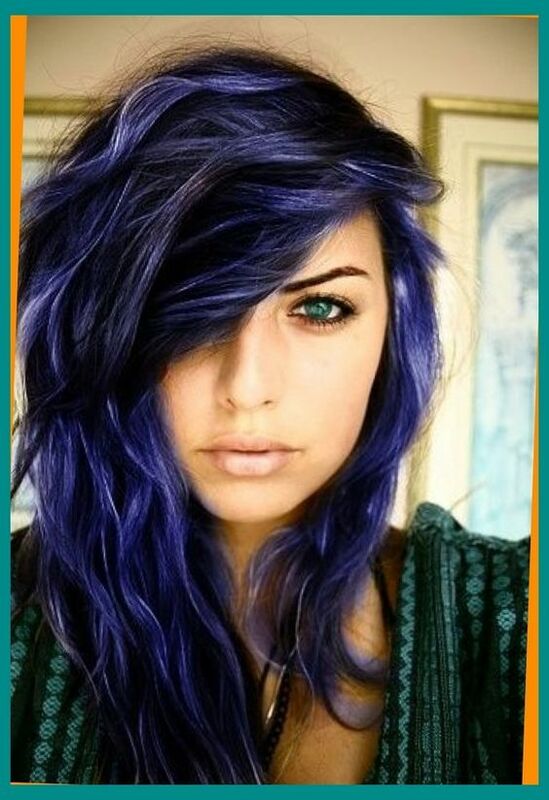 Bring out the beautiful deep blue tones of natural black hair with some subtle midnight blue highlights. The fine dark blue highlights add a touch of definition to the waves and will give a beautiful sheen to the hair. Black hair that has a grey tone to it will look stunning with ashy highlights. 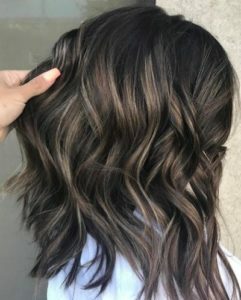 The ash brown highlights have given great depth to this black wavy lob, as well as creating a lovely multi-tonal effect. Lovely! How shiny is this gorgeous hair? 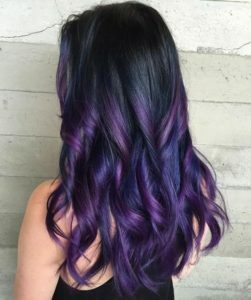 Glossy ebony locks like these would look beautiful on their own, but it has to be said that they look absolutely dreamy with a purple and violet balayage. The shine of the black hair is almost identical to the violet highlights, for a perfectly cohesive look. This long black hair almost has a slate grey tone to it, which makes silver a great choice for highlights. 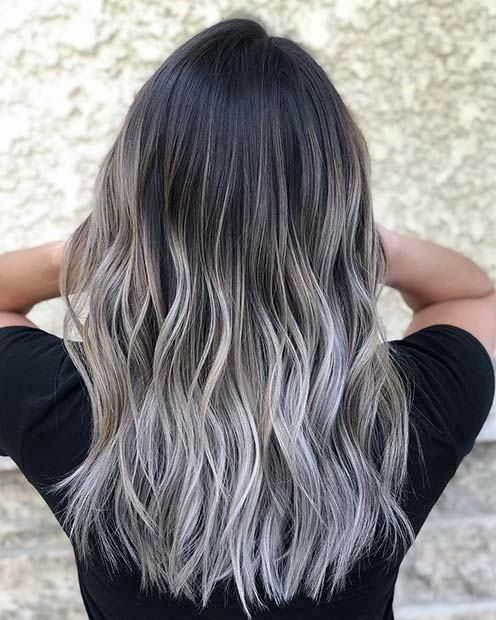 The bright silver shade of the highlights both complements and contrasts with the black hair, giving the real ‘wow’ factor. 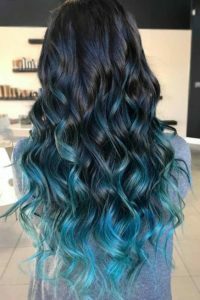 The addition of a few indigo blue underlights gives these gorgeous beachy waves real depth. Any jewel tone will look wonderful against black hair as it helps to bring out the gorgeous and rich colours. 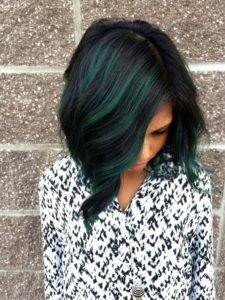 Emerald green may seem like a strange colour to highlight with, but it really pops against the ebony locks of this graduated lob. The extra few highlights around the face are a great finishing touch. 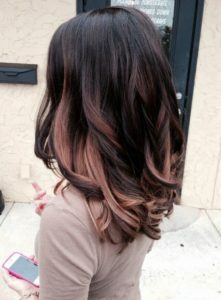 Tortoiseshell hair is one of the hottest hair dye effects of the moment and black hair provides the perfect base of it. 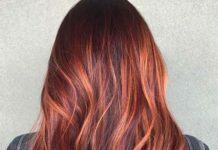 Colours inspired by those of a tortoiseshell, such as honey, caramel, and chestnut brown – are layered throughout the hair to great a really strong multi-tonal style. A really wonderful way to highlight back hair. 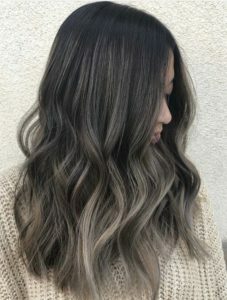 If you are looking for some highlights just to give a little lift to black hair, consider adding a few lighter slices of colour around the face, like these simple but beautiful caramel highlights. 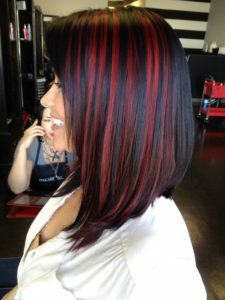 Cherry red and black are colours that complement each other perfectly as shown in this beautifully sleek and straight angled bob. The thick slices of red cut through the solid black and give this hair real life and vibrancy. Adding some delicate white highlights to this black lob has giving the hair a beautiful texture and great depth, which would be great for those with thinner hair. 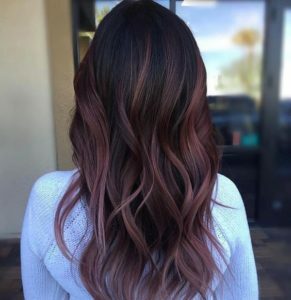 The matte finish to the hair is to die for too, don’t you think? 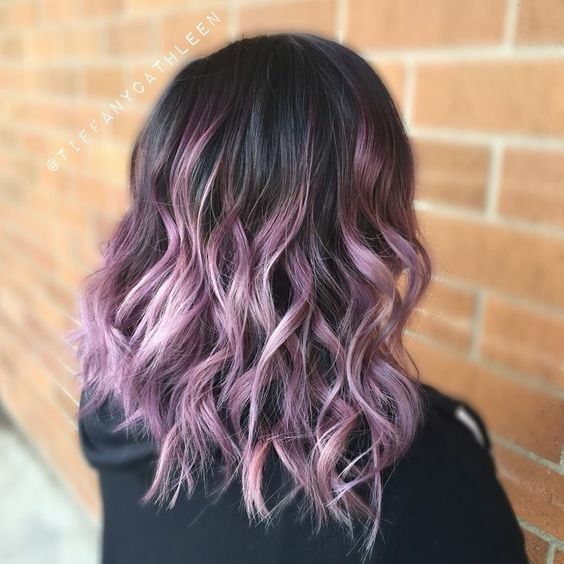 Pastel shades also look great as highlights in black hair, just take a look at this beautiful lilac balayage. The sugary shade is so vibrant against the liquorice base – definitely good enough to eat. If you fancy trying the mermaid hair trend then look no further for your inspiration. 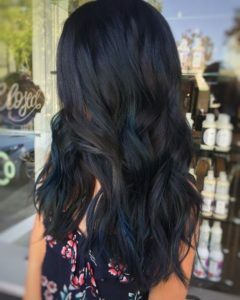 These shiny black locks have been given a stunning teal ombre to produce a style straight out of a mythical ocean. 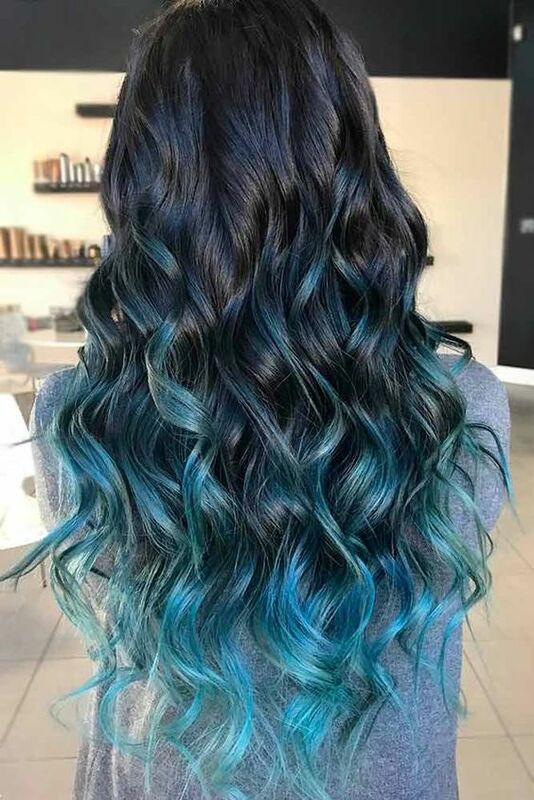 The colour graduates from black at the roots, through midnight blue to ocean blue and then to the teal water of the tropics. Just magical! If you want to add some natural colour highlights to your black hair, but want something low maintenance than blonde, consider some chunky chestnut highlights. They will still stand out against a black base, but any fading will be less obvious. 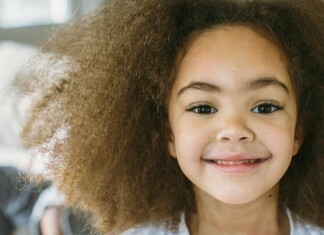 Low maintenance and beautiful hair. 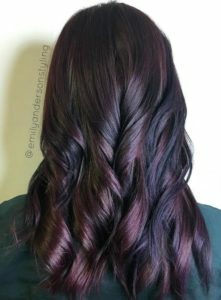 The luxurious tones of navy, purple, and magenta are just stunning against the deep ebony base. 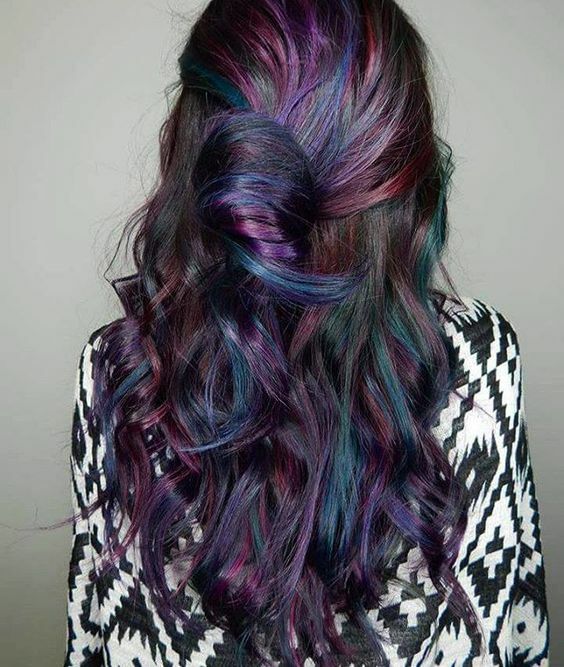 If you are looking for a Gothic take on the unicorn hair trend, I think we may have found it with this look. All the amazing colours of a galaxy in one style. 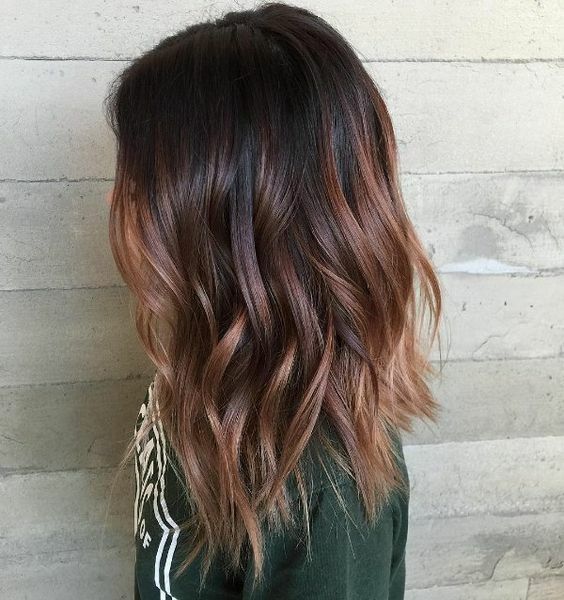 This mahogany balayage is incredibly elegant and chic, whilst still being subtle and soft. Since black hair is so dark and roots will be so noticeable, consider starting your highlights 2/3rds down the lengths to avoid any problem of root growth. Plus balayage and ombre dye effects are always on-trend. 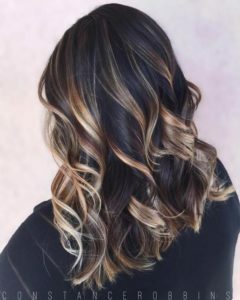 Chunky highlights no matter the colour will make a really big impact, as well as adding an extra dimension to your black hair. 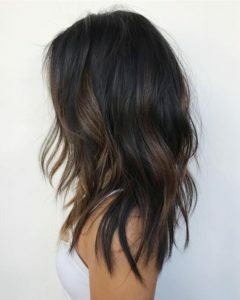 The golden brown of these thick slices of colour is stunning and adds a little bit of sunshine to dark locks. This gorgeous bob is giving us a serious nineties vibe, with the pop of neon pink against the glossy black. It has been given a contemporary twist with a super peek-a-boo effect that is so fresh and cool. 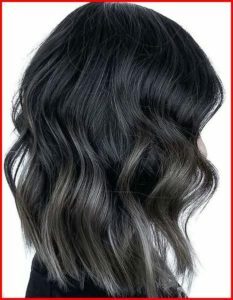 As mentioned previously, ashy highlights look gorgeous on black hair that has a grey tone to it. The ashy blonde highlights in this hair have given texture and depth to the locks, particularly at the ends, which makes this look a smart choice if you want to add the illusion of extra depth and body. 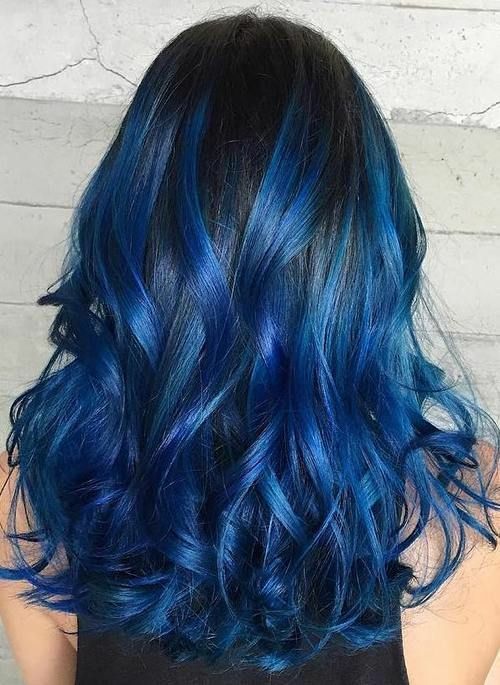 Any tone of blue is a great companion to black hair as it shows of the stunning dark shade to it’s best, by helping to bring out all the subtle multi-tones that black hair can have.For a blue this bright it is important to invest in a good colour care regime to keep the shade vibrant for as long as possible. This ice blonde balayage in black hair has created a great monochromatic effect, and we all know how well black and white goes together. 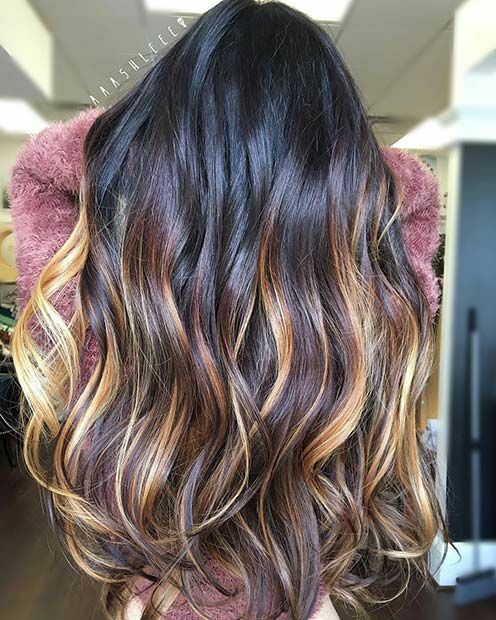 The soft wave and multi-tones of the hair give great depth and movement, ideal for finer locks. 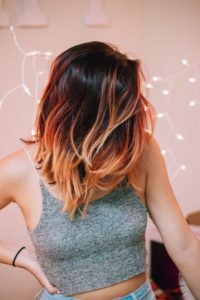 If you keep up to date with us here at Hairstyle Hub you will know that Blorange (a beautiful mixture of pink and blonde) is one of the hottest hair colours of the moment. It isn’t hard to see why, when you see how gorgeous it looks against a black base. So vibrant! 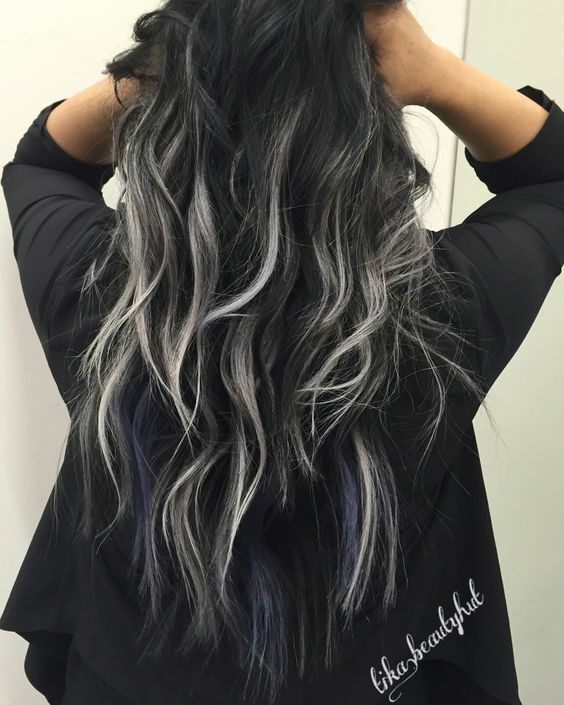 There is a definite grunge appeal to the lovely lilac and violet highlights of this black hair. The tousled styling, extreme side parting, and bold use of colour all add to the grunge feel, which is super contemporary and really youthful. This hair could also look super polished when styled sleek with hair straighteners and a good shine spray. Everything about this style gives serious hair envy – the soft and bouncy texture, the gorgeous full bangs, and of course the effortless honey and caramel highlights. The black base gives the light highlights extra life ad brightness. Definitely a winning highlights look. Plum, Merlot, and other hair shades inspired by red wine are set to be a big hair trend in 2019. Whether you go for all over colour or choose subtle highlights – like these plum highlights in black hair – your hair is sure to look luxe and expensive. If you aren’t afraid to stand out from the crowd then this standout look could be the one for you. 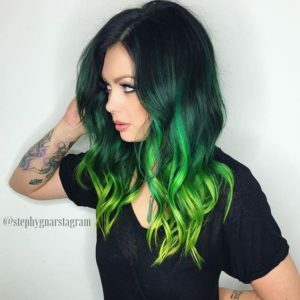 Black locks have been completely transformed with a lime green ombre, which graduates from ebony through forest green, to emerald, to grass green, and finally to lime. 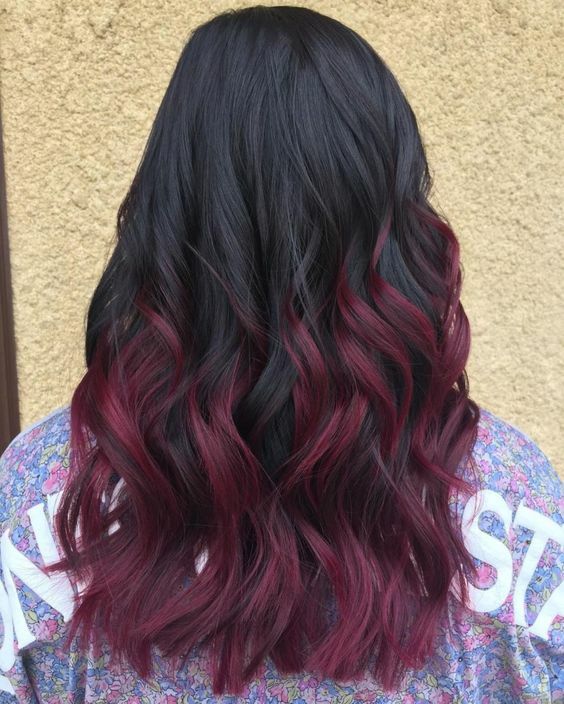 Just an epic dye job. 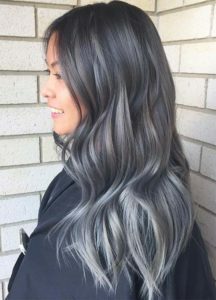 The multiple tones of silver and grey highlights in black hair have created an almost metallic effect that is sublime. The hair flows like molten metal, and the overall finish is so fresh and futuristic. Grey hair has never looked so good. Auburn tones are perfect for winter months as they have such a great warmth to them, and they have certainly spiced up these black locks, wouldn’t you agree?